As has been discussed here many a time, I have a serious jones on for the sounds of the Sunset Strip a la 65/66 to the point where I will dig and dig until some of the 45s in question find themselves a nice home in my crates. 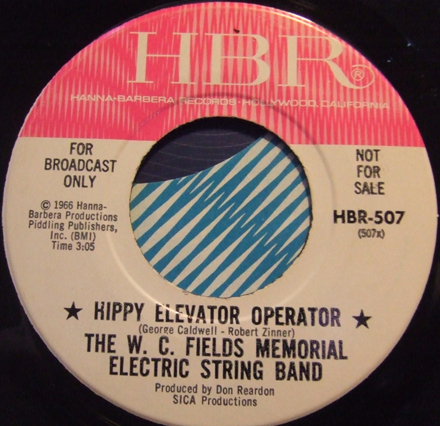 One of those 45s is the one you see before you, with the groovy title of ‘Hippy Elevator Operator’ and the band with the absurd, ungainly and hard-to-Google name of the W.C. Fields Memorial Electric String Band. As names go, it was two years ahead of its time, sounding less LA-au-go-go than SanFran Ballroom, but as we shall see (hear) the sounds that they made were also ahead of the game. The cats in the WCFMESB (as they shall be known going forward) recorded a couple of tasty folk rock 45s as The Bees (but not, apparently the same Bees that recorded ‘Voices Green and Purple’, who were also from SoCal), including a cool reworking of Dylan’s ‘She Belongs To Me’ for the storied Mirwood label. At some point in nineteen and sixty six they reconstituted themselves as the WCFMESB and recorded a couple of positively stunning 45s, including the first recording of ‘I’m Not Your Stepping Stone’ (on Mercury) and ‘Hippy Elevator Operator’ for HBR. ‘Hippy Elevator Operator’ is a hard charging, brain-warped lost classic, with drugged out lyrics, manic (dare I say DEMENTED?) guitar and production and a vibe that is – like some of the finest and weirdest SoCal stuff of the era – distinctly far out. I’d place this single alongside similarly vintage material from cats like Captain Beefheart and even early Mothers for its roughness and punk feel, and when I say “feel” I mean to say that while this might otherwise be carelessly lumped in with ‘garage punk’ it is simultaneously both and neither, and is ultimately quite fantastic. It is a record that could have been made in neither 1965 nor 1967, which when you take the time to digest it is obvious. There is something purely 1966-y about ‘Hippy Elevator Operator’ that marks a perfect alignment of sounds and ideas that would not have been possible anywhere else. After legal action (threatened or actual I am not sure) by the estate of the real W.C. Fields, the band truncated their name first to ESB (one 45, I think) and then Fields (an album on UNI) before disintegrating and being absorbed back into the ether. Heavy stuff that ought to hold you for the week. Dig it and I’ll see you later. I hope everyone took the chance to pull down the ones and zeros on this month’s Iron Leg Radio Show. If you haven’t, please take a moment to do so now, and while you’re at it, grab all the previous episodes from the archive (see the tab in the header). The tune I bring you this week is a long time favorite, that I only managed to score on a 45 this very week (though I’ve been looking for years). ‘I Can’t Let Go’ – a song I first heard performed by Linda Ronstadt (when I was a kid) and then fell in love with in the epic version by the Hollies – is one of the truly great pop songs of the 1960s. 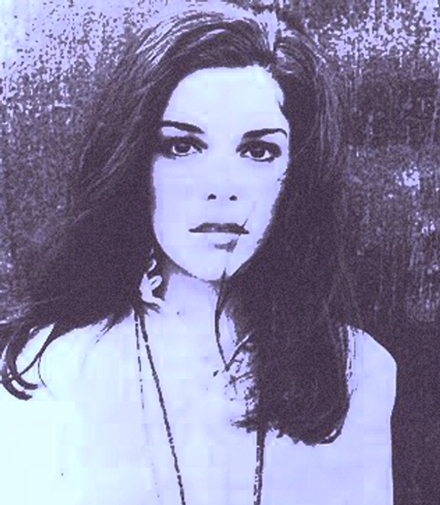 The version you see before you, by Miss Evie Sands, is the original. Sands was a NY-based singer who made several excellent records with Chip Taylor and Al Gorgoni, including the original versions of ‘Take Me For a Little While’ and ‘Angel of the Morning’. Her story is a seemingly endless series of missed opportunities and bad timing (you can read more here) which kept some amazing music from reaching the audience it deserved. 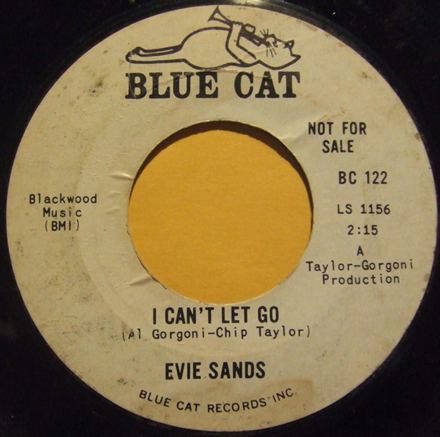 The two 45s that Sands recorded for Blue Cat in 1965 are both excellent (A and B sides). 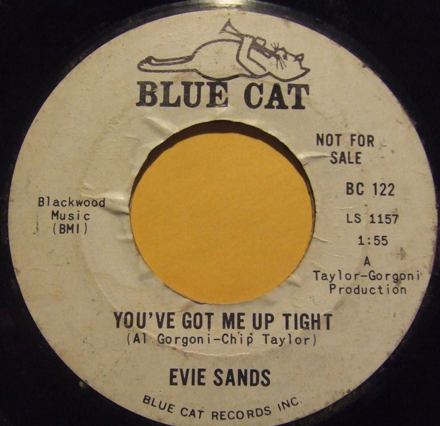 Sands was a particularly interesting singer because she bridged slightly earlier girl group sounds with what for lack of a better term might be called blue-eyed soul. Though lesser known, she ought to be spoken of in the same breath with singers like Timi Yuro and Dusty Springfield. Her version of ‘I Can’t Let Go’ manages to layer Sands’ rich and vaguely husky voice over a very nicely produced bit of imitation ‘Wall of Sound’. The beat is taken at a slightly slower, more deliberate pace than many of the covers. The flip side, ‘You’ve Got Me Uptight’ is a more directly soul-influenced number with some groovy organ bubbling up underneath things. All in all this is a very groovy 45 that you ought to take the time to stuff into your ears whenever you can. It bears mentioning that there is a decent amount of vintage film of Sands, on shows like Shivaree and Hollywood A Go Go performing her Blue Cat era material. Welcome back for the ninth go-round in the Iron Leg Radio Show saga. 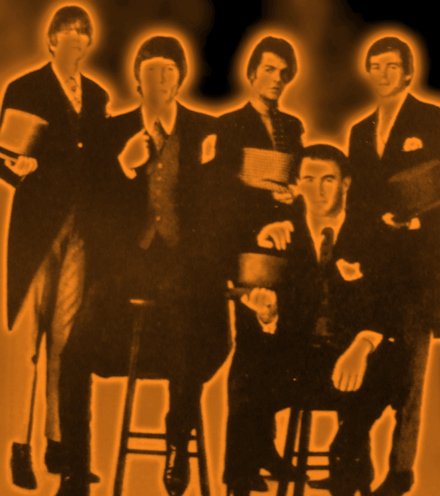 This time out we have all kinds of goodies for your earholes, including some unusual country-pop, beat, late-60s power pop, prime Canadian folk-rock and a long set of explosive now sound goodness. If you haven’t yet picked up last month’s (or any of the other previous) episode on MP3, please do yourself a favor and grab it (them). The tune I bring you today is a number I first heard (and fell in love with) back in the 80s on the Mindrocker comp. 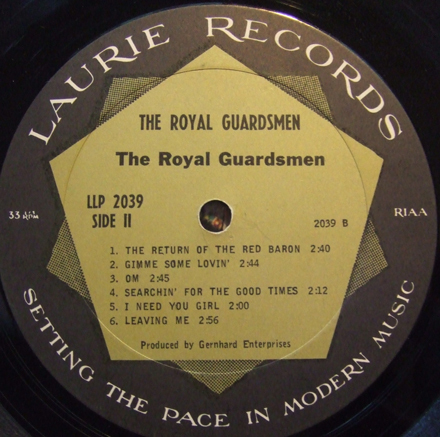 It shocked me at the time because I had no idea that the Royal Guardsmen had done anything outside of their Snoopy-related tunes, especially nothing like ‘Leaving Me’. I searched high and low for a copy of the 45, not realizing at the time (pre-interwebs) that it was one of the rarer tracks on the label, so I kept my copy of the comp and whipped that out whenever I needed to hear the song. Then, last year I was out digging and found a cheap copy of the second album by the band and was gassed to discover that the fantastic, fuzzed out ‘Leaving Me’ was the last track on side two! Though I was a little pissed that I’d wasted so much time looking for the 45, I was finally happy to have a copy of the tune (as well as a couple of other very interesting cuts from the album). 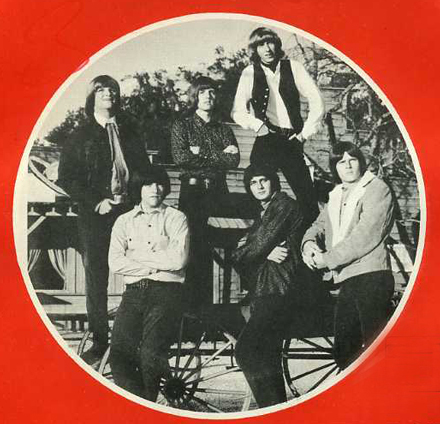 Formed in Ocala, Florida in the early 60s, the Royal Guardsmen released their first 45 ‘Baby Let’s Wait’(which had ‘Leaving Me’ on the flip) in 1966. That tune went nowhere at the time, but hit the Top 40 when it was reissued (with a different B-side) in 1968. All of their biggest hits were Snoopy/red Baron-related, with ‘Snoopy vs the Red Baron’ (#2 in 1966), ‘The Return of the Red Baron’ (#15 in 1967) and ‘Snoopy’s Christmas’ (which hit #1 in 1968, #15 at Christmas 1968 and again at #11 during Christmas 1969!). They broke up in 1969 after two albums, though their Wikipedia page says that a reformed band has been playing together for years, even recording a new Snoopy song, ‘Snoopy vs Osama’ (?!?!) in 2006. I hope you dig the track, and I’ll be back next week with the latest installment of the Iron Leg Radio Show. I hope everyone is having a groovy New Year (so far) and that you all had a chance to pull down the ones and zeros on the Year In Review mix. The tune I bring you today is a fantastic example of how sometimes things just kind of fall into your lap. I’ve gone into the fact that my father-in-law has on many occasions grabbed stacks of records he comes across at garage and estate sales, once a stack so large that it consisted of many thousands of records that took me the better part of two years to really digest. So, late last summer he and my mother-in-law were down visiting and he handed me a shopping bag full of unsleeved 45s. Upon first look, it didn’t seem like much (mostly 70s Top 40 pop) but I’m always game to paw through a pile of records, so I said thank you and brought them home. As is often the case, I didn’t really give them a close look until much later, at which time I pulled out maybe half a dozen interesting looking things and put them aside, not really digging into that pile for another month. The big surprise in that bunch was the record I bring you today, the inclusion of which in this sack of wax was all but inexplicable. 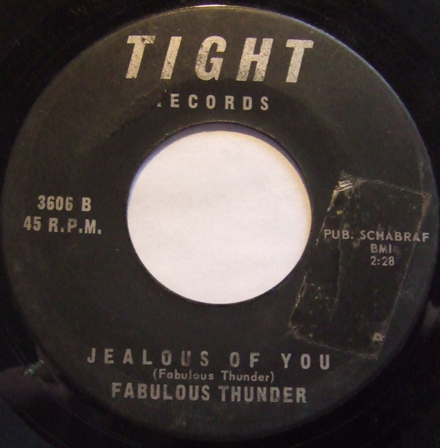 I’ll always gravitate to 45s on unknown labels, especially ones with group names like ‘Fabulous Thunder’. I think I was expecting some kind of surf/hot rod instro action, so imagine my surprise when I drop the needle and discover not imitation Link Wray, but rather a slice of poppy, mid-60s folk rock. How this got into a pile of Anne Murray and Starland Vocal Band 45s I do not know, but I sure am glad that it did. That said, other than the fact that the Fabulous Thunder hailed from Florida, and that this record came out in 1966, I haven’t been able to turn anything up (other than the volume). It may not be gut-crunching, fuzzed out punk, but as we’ve learned in this space before, not everything that came out in 1966 was.